I decided to check out Neverwinter with a spare hour I had. I dabbled around in DDO but never really went far, perhaps it will be different? 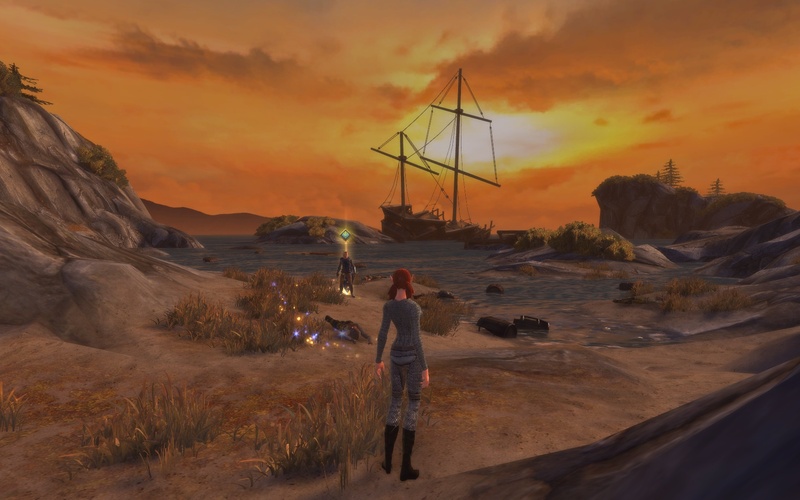 Like DDO, the game starts you out on a beach after a shipwreck. Come to think of it, Age of Conan does too! The first task is to move and talk to an NPC just ahead of you. 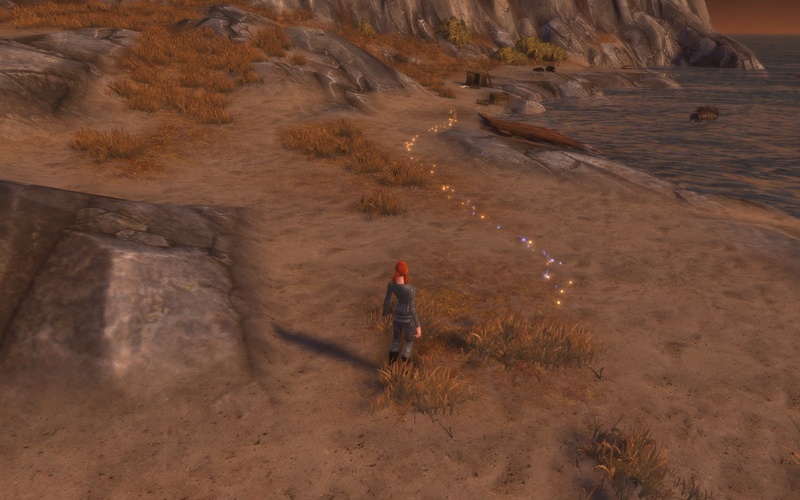 Neverwinter adds some eye candy by displaying a sparkling path for you to follow to complete the objective. I’m sure some oldtimers will complain that in their day, they didn’t have a quest log, or green dot, and certainly didn’t have a rose-petal-strewn-path to follow, harumph! However, I think it is a nice addition because it isn’t too obtrusive, makes it obvious which way to go, and for all I know is just a tutorial/intro mechanic. The first NPC told me to keep going and check out some crates to gather basic gear. After that the game covered basic combat, introduced a few skills, and soon I was in the middle of 3 skeletons fighting for my life. I chose to create a Guardian Fighter, one of the 5 classes available. Just the basics are covered: trickster rogue, control wizard, devoted cleric, guardian fighter, and great weapon fighter. There was a 6th choice grayed out that said “coming soon”, I wonder what that will be. My only complaint was that the hot keys were kinda all over the place. I’m going to remap them. On the other hand, consistent keys for other classes – if their skills works out that way – makes sense. For example, I kinda like how GW2 handles it. Every class uses their weapon skills with number keys 1-5, then the healing skill is 6, abilities you pick go in 7-0. Simple, consistent… the mouse button/q/e/1/3/shift is a little muddled to me, but not an insurmountable barrier. I quickly figured out the way to win this battle involved getting 1 or 2 sword swipes in, the blocking to survive his attack. I’m not sure what other classes do but it can’t be too hard to figure out. 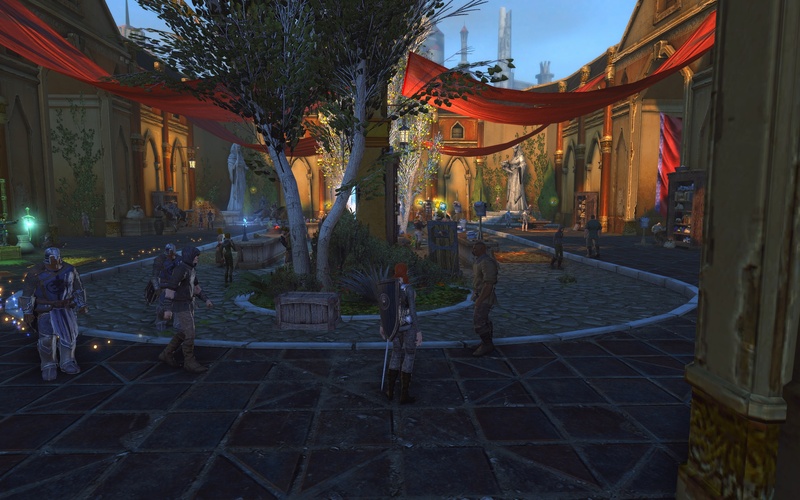 After defeating this enemy I advanced into Neverwinter, a pleasant looking city. I completed the intro quest, running clear across the entire town to get to the NPC, and earned some equipment upgrades. At this point it was late so I called it a night. I only played a little bit but it was fun and quick to get into. 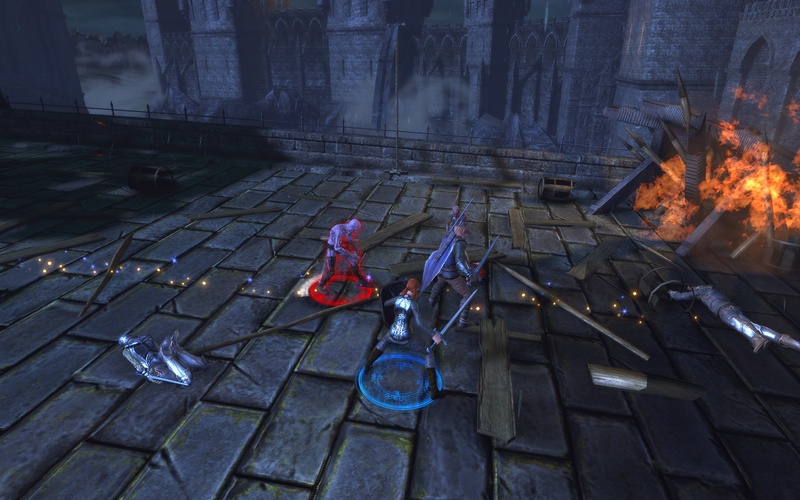 Using the left/right mouse button fight gave it a TERA-like feel. I’m slightly bummed there aren’t many classes to choose from (but perhaps they all play differently enough) and my favorite D&D class, the Monk, isn’t there. 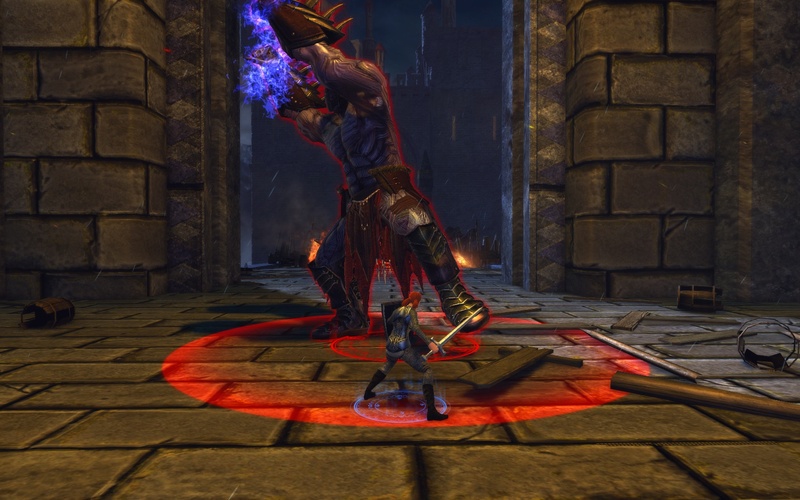 DDO certainly adheres to the D&D rule set more. To be fair, I haven’t played D&D in a very long time so maybe this sticks to more recent editions I don’t know about.